2 Back pockets with flaps and studs closure. 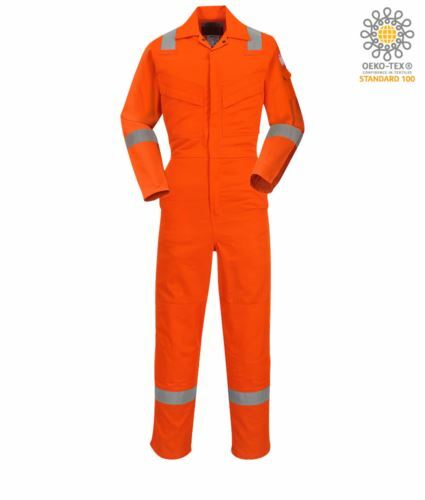 Double stitched, industrial wash, flame resistant, reflective tape. Concealed 2 way brass zip on front opening, concealed brass zips on chest pockets. Dear friend, I suggest you this article: Tuta intera antistatica imbottita; You can find it on the web at: https://www.castbolzonella.it/scheda.asp?content=.